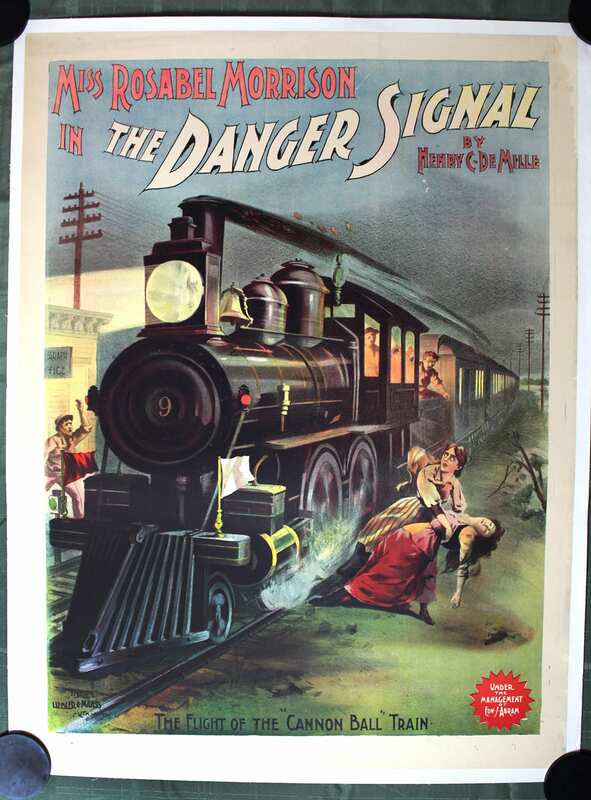 Henry Churchill de Mille, the father of the great film director Cecil B. de MIlle, wrote this play in 1883, a Western melodrama originally titled “Main Line.” A love story set at a remote railroad waystation, replete with authentic railroad tracks, it opened at New York’s Lyceum Theater to warm reviews but closed prematurely. A few years later, renamed “Danger Signal,” it launched the career of Rosabel Morrison, daughter of the Jewish-Jamaican actor Lewis Morrison. Rosabel went on to star at the head of her own company in Faust and Carmen. 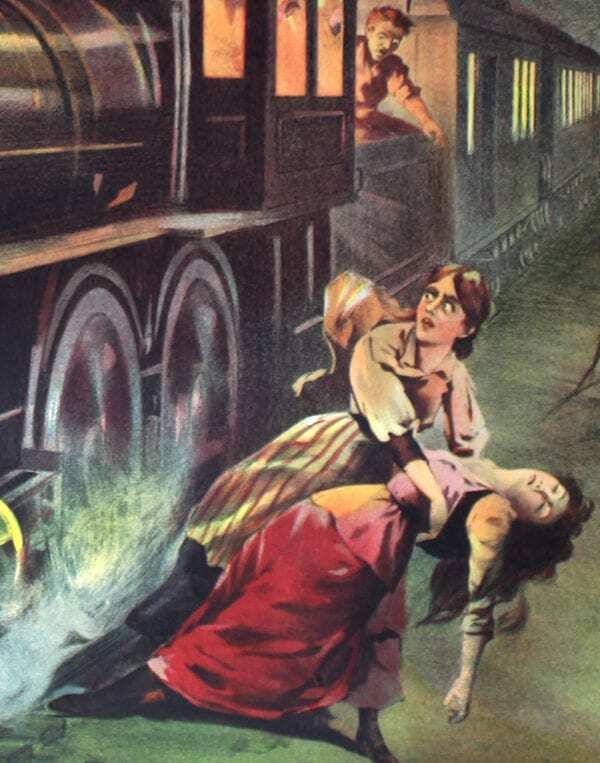 Little is known about “The Danger Signal,” but fainting ladies and a rampaging “Cannon Ball” train project the thrills of rail travel as the 19th century rushes to its close.